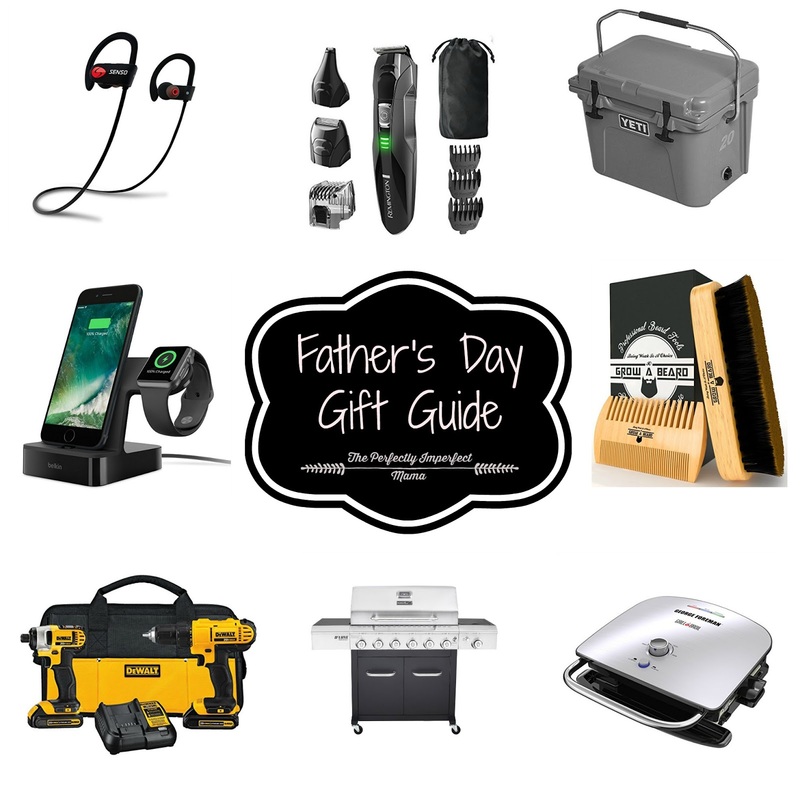 It's almost Father's Day & I've put a gift guide together for you! If you're like me then you LOVE these gift guides because #lastminuteshopper and lets face it, guys are so hard to buy for!! 1. SENSO WIRELESS HEADPHONES - If your hubby is anything like mine, when he's outside doing yardwork he ALWAYS has his headphones in. These are perfect because they are wireless & you don't have to worry about the aggravating cord! 2. GROOMING KIT - This 8 piece set comes with a nose, ear & detail trimmer plus different hair/beard combs. 4. iPHONE & APPLE WATCH CHARGER - This 2 in 1 charger is so convenient & you don't have to worry about all the hassle of plugging in all the cords. 5.BEARD COMB & BRUSH SET - Got a bearded man!? I know my hubby would LOVE this!! 6. DEWALT DRILL SET - Can a man really ever have too many tools!?! If you ask my hubby, he would say no. 7. GAS GRILL - Dan loves grilling ... especially during the summer time! 8. GEORGE FOREMAN GRILL - And when the weather doesn't cooperate for outdoor grilling, this 7 in 1 George Foreman would work perfectly. I would love to know any Father's Day gift ideas you have! Such great ideas :) I am contemplating the Apple Watch but Scott got a fit bit for father's day!